Andrew Albers: Odds are Albers' early success after being called up is enough to keep him on the 40-man roster for next season, but as of about two months ago he was nowhere to be found in the Twins' plans and soft-tossing former independent leaguers tend to always be close to the chopping block. Extreme strike-throwing could allow Albers to survive as a fifth starter for a bit, but he's totally lacking in upside and has predictably struggled to miss bats. Doug Bernier: Signed to a minor-league deal this offseason, Bernier had the best season of his dozen-year career by hitting .295/.370/.407 in 95 games as Rochester's starting shortstop. That earned him a call-up in July when the Twins demoted Eduardo Escobar from the utility infielder role and Bernier has played sparingly. As a 33-year-old career .249/.347/.341 hitter in 600 total games at Triple-A there's no reason to keep a marginal utility man on the roster. Chris Colabello: He crushed Triple-A pitching to be named MVP of the International League, but Colabello has hit just .196 with a 51-to-16 strikeout-to-walk ratio in 47 games for the Twins and 29-year-old rookies signed out of independent leagues often don't get second chances. He's shown some pop and based on his Triple-A destruction Colabello seems capable of being at least a useful platoon first baseman against lefties, but it's hard to imagine his roster spot being secure. Cole De Vries: As a local guy and undrafted free agent De Vries making his big-league debut last year at age 27 was a great story, but he was never particularly deserving of the call-up in the first place based on his track record and this year he was injured and ineffective at Triple-A. De Vries is exactly the type of pitcher who will be available on minor-league deals every offseason and there's zero reason for the Twins to keep him on the 40-man roster like they have since mid-2012. Brian Duensing: After a miserable first half that saw him demoted from setup man to mop-up man Duensing has quietly turned things around in the second half. His overall numbers are solid, including a 53-to-20 strikeout-to-walk ratio and just three homers allowed in 56 innings, but he'll never be trustworthy versus right-handed hitters and with a raise to at least $2 million coming up via arbitration he's a non-tender candidate. Eric Fryer: Added to the 40-man roster and called up two weeks ago because the Twins simply needed another warm body behind the plate after Joe Mauer and Ryan Doumit suffered brain injuries, Fryer got the nod despite a .215/.339/.365 line in 65 games at Triple-A. His track record is similarly poor and at age 27 there's no upside to be had, so it seems safe to assume that Fryer will be dropped from the 40-man roster as soon as the season is over. Liam Hendriks: Being rushed to the majors slightly ahead of schedule in 2012 hasn't helped and giving up on Hendriks at age 24 would be a drastic move. On the other hand underwhelming raw stuff and mediocre strikeout rates always made him a second-tier prospect, his results for the Twins so far have been brutally bad, and this year his Triple-A performance also ceased being encouraging. It all depends on how long the Twins want to wait for a potential fourth starter. B.J. Hermsen: Terrible strikeout rates and poor fastball velocity stopped Hermsen from being a quality prospect despite nice-looking ERAs in the low minors. He was named Twins minor league pitcher of the year in 2012, but ranked just 29th in my prospect rankings coming into the season and then got knocked around at Double-A for a 4.81 ERA and .328 opponents' batting average with just 35 strikeouts in 86 innings. He's still only 24 years old, but has very little upside. Pedro Hernandez: Acquired from the White Sox in the Francisco Liriano trade, Hernandez is a soft-tossing left-hander who likely struggles too much against right-handed hitters to succeed as a starter. Righties have hit .331/.400/.587 off him through 57 innings in the majors and also did a lot of damage off him in the minors. Hernandez fares well enough versus lefties to possibly carve out a bullpen niche, but that's true of most southpaw pitchers and his value is pretty limited. Shairon Martis: Much like Fryer on the position player side, adding Martis to the 40-man roster and calling him up earlier this month would have warranted a lot more criticism if it didn't seem so obvious that the Twins will cut him loose as soon as the season ends. Martis is 26 years old with a 5.24 ERA in the majors and a 4.40 ERA at Triple-A, which includes a mediocre performance after shifting to the bullpen in Rochester this year. He has no business in the big leagues. Darin Mastroianni: It's tough to evaluate Mastroianni's season because he got hurt during spring training and initially tried to play through the injury before undergoing ankle surgery that cost him four months. However, even before the lost season he was a marginal major leaguer ticketed for a bench role and he can't afford to lose any speed considering it's his primary skill. If healthy he's a useful backup outfielder, but he's a fairly fungible player type. Chris Parmelee: There have been a few brief flashes of big-time production, both for the Twins and at Triple-A, but Parmelee simply hasn't hit enough. He's at .225/.299/.371 in 152 games for the Twins since an impressive September debut in 2011 and hit just .231/.318/.380 in 45 games at Triple-A this year. Going back further he hit just .282/.355/.416 at Double-A and will be 26 years old before spring training, so at the very least the clock is winding down on Parmelee. Mike Pelfrey: Signed to a one-year, $4 million contract coming off Tommy John elbow surgery, Pelfrey was terrible early, decent in the middle, and terrible again recently. Add it all up and you get 28 starts of a 5.34 ERA with just 96 strikeouts in 147 innings and a .300 opponents' batting average. His fastball velocity doesn't help much without a usable off-speed pitch and a slow pace on the mound makes watching him torture. Free agency will take him off the 40-man roster. Wilkin Ramirez: The latest example of the Twins overreacting to a strong spring training by a mediocre player, Ramirez won an Opening Day job despite a decade-long track record of terrible plate discipline and poor overall production in the minors. He's a career .255/.310/.430 hitter at Triple-A and hit .272/.302/.370 with an ugly 23-to-2 strikeout-to-walk ratio for the Twins before multiple injuries wrecked his season. He's also not a true center fielder defensively. Josh Roenicke: Claimed off waivers from the Rockies last fall, Roenicke has done about what should have been expected by eating some low-leverage relief innings with too many walks and not enough strikeouts. He's basically a replacement-level middle reliever and at age 30 with a raise via arbitration eligibility ahead Roenicke wouldn't be missed in what looks to be a relatively deep right-handed bullpen mix for 2014. Clete Thomas: Aaron Hicks' struggles and Mastroianni's injury led to Thomas getting a second shot with the Twins after struggling mightily last year in a brief look. He stuck around much longer this time, logging more than 300 plate appearances, but Thomas has hit just .219/.291/.314 with a ton of strikeouts and is simply overmatched as a regular. Decent range in center field is enough to make Thomas a usable backup outfielder, but the Twins should be able to do better. For a lengthy discussion about what the Twins' roster will look like next season, check out this week's "Gleeman and The Geek" episode. • Essentially giving away Drew Butera wasn't supposed to be the full extent of the Twins' trade deadline activity, but aside from Glen Perkins they simply didn't have much to offer. It's certainly surprising that they didn't move Justin Morneau, especially given various reports suggesting that multiple teams expressed at least some level of interest, but they weren't going to get more than a marginal prospect for a below average 32-year-old impending free agent anyway. Morneau has shown improved power recently and it's still possible to find a taker for him between now and August 31, but the waiver system limits options and every game he plays is one fewer game another team can acquire. For the third year in a row the Twins failed to make a significant move to swap veterans for long-term help before the trade deadline, which is rare for a rebuilding team and in several cases stems from their inability to pull the trigger at the right time. Comparing across eras can be difficult, but there's a strong argument to be made that Butera is the worst hitter of the past three decades and if nothing else he's the only hitter with 500-plus plate appearances and an OPS below .500 during that time. And based on his minor-league track record that .494 OPS might actually count as out-performing expectations. Not surprisingly the Dodgers sent Butera to Triple-A immediately after acquiring him from the Twins. 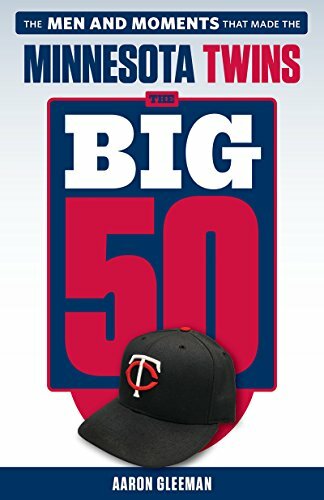 • It's tough to look at Aaron Hicks' rookie season and not conclude that the Twins botched things at just about every step along the way. Instead of furthering his development and suppressing his service time by having him open the year at Triple-A they all but handed Hicks the center field job before spring training and rushed him from Double-A to the majors. Based on his 2-for-48 slump to begin the season and subsequent struggles, it's clear that they misjudged his readiness. In early July they had another opportunity to send Hicks to Triple-A following his disabled list stint for a hamstring injury, but instead abruptly ended his minor-league rehab assignment and rushed him back to the majors after Josh Willingham's knee surgery. He again struggled, giving him a .194 batting average and 84 strikeouts in 81 games overall, at which point they finally demoted Hicks to Triple-A four months into the season. Being overmatched as a 23-year-old rookie jumping from Double-A is hardly a death sentence for Hicks' long-term potential, although not many struggles are that extreme and allowed to go on for that long. Ultimately he needs to figure out how to maintain a patient approach while also being aggressive within the strike zone, which has been a career-long issue. Because of the demotion he won't use a full year of service time, but this was probably the worst path to that destination. • Andrew Albers joined Chris Colabello and Caleb Thielbar in going from independent ball to the Twins' roster and as if that wasn't already a good enough story the 27-year-old left-hander tossed 8.1 shutout innings against the Royals in his debut. Based on Game Score it was the best MLB debut in Twins history, topping Bert Blyleven's seven innings of one-run ball on June 5, 1970 and Anthony Swarzak's seven shutout innings on May 23, 2009. Blyleven went on to become a Hall of Famer and Swarzak went on to become a long reliever, so a great debut certainly doesn't guarantee anything. With that said, Albers is definitely an intriguing player. His fastball tops out in the high-80s, which is particularly worrisome when combined with extreme fly-ball tendencies, but Albers is a strike-throwing machine and managed 7.3 strikeouts per nine innings between Double-A and Triple-A. He's still a long shot, but could be useful. • Albers is getting his big chance because the Twins sent Scott Diamond to Triple-A, completing a dramatic decline for a pitcher many people were extremely excited about this time last season. Diamond's awful strikeout rate always suggested that most of the excitement was overblown and he missed even fewer bats this year along with more walks and fewer ground balls. There are 122 pitchers with at least 300 innings since 2011 and Diamond ranks dead last in strikeout rate. At least the Twins haven't signed Diamond to a long-term contract extension yet. • Tim Wood, who was signed to a minor-league deal in November and then added to the 40-man roster two weeks later because the Twins suddenly felt worried about losing a 30-year-old Triple-A reliever in the Rule 5 draft, will miss the remainder of the season following shoulder surgery. He never threw a pitch this year in the minors or majors. • Chris Parmelee has hit .301/.409/.466 with a 15-to-13 strikeout-to-walk ratio in 20 games at Triple-A since his demotion. Not as spectacular as his 2012 breakout there, but the guy can hit International League pitching. • Kevin Correia has a 5.90 ERA and .329 opponents' batting average in 17 starts since May 1. • Parker Hageman of Twins Daily interviewed Jared Burton and wrote an interesting article about the right-hander's fantastic changeup. 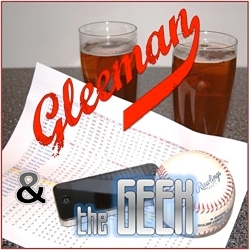 • For a lot more about the Twins' lack of trade deadline activity and Hicks' demotion, check out this week's "Gleeman and The Geek" episode. Joe Mauer has done his part following the oft-debated decision to move him into the No. 2 spot, basically matching his career numbers by hitting .320 with a .402 on-base percentage that ranks second in the league. He's scored 32 percent more runs than anyone else on the team despite the guys hitting behind him not exactly thriving, but his RBI chances have dried up because the Twins' leadoff men and No. 9 hitters have combined for a laughable .262 on-base percentage. Within the standard production is a huge spike in strikeouts, as 75 in 88 games is already the second-most of his career and a 75 percent increase per plate appearance. He's made up for that with career-highs in line drives and batting average on balls play in, leading MLB in both stats, but it's a different path to the usual destination. Defensively he's thrown out an AL-best 46 percent of steal attempts after sagging last year and his all-around value is on pace to surpass $30 million. At this point every time Justin Morneau homers fans and media members start talking about how it might be the start of him getting back on track, which is perhaps the surest sign that he's now just a shell of his former self. This season's power outage has been well-documented, but going all the way back to his mid-2010 concussion Morneau has hit just .259/.321/.404 in 289 games and 1,224 plate appearances. There are 193 hitters with at least 1,000 plate appearances since 2011 and Morneau ranks 128th in batting average, 134th in on-base percentage, 138th in slugging percentage, and 143rd in OPS. He hasn't been even an average first baseman in a long time and at 32 years old with a lengthy injury history in addition to the concussion re-signing the impending free agent just doesn't make sense for the Twins. If they can get any kind of decent return for him a trade, they should. Signed to a two-year, $7 million contract extension midway through last season, Ryan Doumit is having the worst season of his career. He's been particularly awful in 24 starts as the No. 3 hitter, batting .245/.299/.316 with one homer, and for the second straight season Twins pitchers have an ERA above 5.00 throwing to him. Doumit is a poor defensive catcher and very stretched in the outfield, so with an OPS below .700 he's been one of the worst regulars in baseball. The good news is that his power is in line with his career norms, he's already drawn 25 walks in 81 games after totaling 29 walks in 134 games last season, and Doumit is actually striking out less than usual. His struggles mostly stem from a .256 batting average on balls in play, which is 43 points below his career mark. That suggests Doumit should bounce back in the second half, but whatever chance the Twins had of getting a decent return for him in trade is probably gone. After a brutal rookie season shifting from shortstop to second base dramatically changed Brian Dozier's outlook defensively, but through two months he was again bad enough offensively that the Twins were hinting at giving up on the 26-year-old. However, in his final 44 first-half games Dozier hit .270/.372/.493 with seven homers, 12 doubles, and nearly as many walks (20) as strikeouts (24), which is more than enough to buy him some more time. In the minors Dozier generally controlled the strike zone very well, so that aspect of his recent improvement was particularly encouraging, and even while struggling overall he showed more power than expected. Of course, he's still 26 with a .235/.290/.358 career line in 165 games after hitting even worse than that at Triple-A, so the clock is definitely ticking on Dozier. He benefits from the lack of other MLB-ready middle infielders in the Twins' system. Josh Willingham followed up a career-year in 2012 with a big April, but then the 34-year-old's knee started bothering him and he hit .213/.338/.343 in 50 games from May 1 until the Twins finally shut him down in late June. Willingham needed regular days off and cortisone injections to stay in the lineup at what was obviously less than full strength and it didn't do anyone any good anyway, as he stopped hitting and was even worse than usual in the outfield. It turns out he had a torn meniscus, undergoing surgery that will likely keep him out until at least mid-August and could cost him the rest of the season. Willingham is under contract for $7 million next season, which is reasonable enough, but whatever chance the Twins had of cashing him in for some long-term help in a trade last July or this offseason is long gone and it's hard to know what to expect from a 35-year-old should-be designated hitter coming off knee surgery. Chris Parmelee's defense in right field was the highlight of his first half, which isn't exactly how things were supposed to go. Parmelee had a big September debut in 2011 and destroyed Triple-A pitching for two months last season, but he's hit just .226/.298/.376 in 147 games for the Twins since then. During that span he managed just 13 homers in 484 plate appearances while striking out 118 times versus 40 walks, which is why he was demoted back to Triple-A on Sunday. Prior to the dominant stretch at Triple-A last season Parmelee's track record in the minors wasn't especially impressive and included a measly .416 slugging percentage in 253 games at Double-A. He's also 25 years old, so in terms of inexperienced hitters struggling Parmelee is much different than some other Twins. There's no need to give up on him yet, but it's looking more and more likely that Parmelee's overall track record is right and he's simply not a starting-caliber hitter. Last year Trevor Plouffe started slow, hit like Babe Ruth for a month, and then slumped down the stretch while dealing with a thumb injury. This season has been much less extreme, but his .265/.323/.445 overall line is close to his .235/.301/.455 mark last year. Plouffe's transformation from light-hitting shortstop prospect to big-league power hitter looks to be for real, as he's now hit .250 with 20-homer pop for 1,000 plate appearances dating back to 2011. Unfortunately his defense cancels out most of that offensive value and his putrid .223/.285/.391 mark versus right-handed pitching suggests that Plouffe would be better suited in a platoon role. Plouffe can smack around left-handed pitching and that should keep in the majors for a while, but as an everyday player he's not really an asset and while a move across the diamond to first base would make him less of a defensive liability the standard for offense there is much higher. 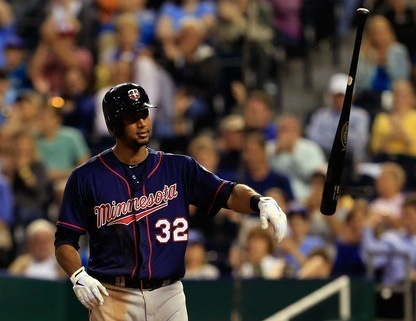 Despite a brutal 2-for-48 start to his career after jumping from Double-A to an Opening Day job the Twins stuck with Aaron Hicks and he recovered to hit .237/.288/.447 with eight homers in his final 55 first-half games. He's still striking out a ton and Hicks' formerly strong plate discipline has vanished, but his power has been better than expected, he's made a handful of spectacular defensive plays, and now he simply looks like a 23-year-old rookie learning on the job. Nothing has changed my opinion that he should have started the season at Triple-A, both for his development and service time considerations, but in contrast to their handling of Oswaldo Arcia the Twins have kept Hicks in the majors all season. Hicks has always projected as a low-average hitter, so the key will be rediscovering his ability to draw walks and cleaning up his defense so that the highlight-reel catches and throws aren't mixed in with poor routes and misplays. Pedro Florimon's defense has been as advertised, with very strong overall numbers and plenty of standout plays along with a relatively high error count. Unfortunately his offense has also been as advertised. Florimon's fast start soon gave way to him being terrible at the plate and he's now hit .227/.285/.327 in 124 games as a major leaguer after hitting .250/.319/.352 in 290 games between Double-A and Triple-A. Every few weeks Florimon unleashes a swing that shows he has plenty of power, but it's resulted in just six homers in 421 career plate appearances. Similarly, his relatively patient approach at the plate has led to just 31 walks versus 91 strikeouts. Florimon's defense is good enough that he's definitely worthy of a big-league job, but in an organization that wasn't so devoid of shortstop options he'd be headed for a utility man role. Fast start, slump, demotion. Fast start, slump, demotion. Oswaldo Arcia has gone through that same three-stage cycle twice in his rookie season and now he's back at Triple-A. There's no doubt that Arcia looked brutal during his slumps, but they were 20 or 30 at-bats in length and the Twins have shown a far more patient approach with Hicks' prolonged rough patches. They also pushed Arcia very aggressively through the minors, so growing pains should have been expected. His overall performance has been right around league-average offensively, which is both far from impressive from a poor defensive corner outfielder and very impressive from a 22-year-old with fewer than 100 games between Double-A and Triple-A. Arcia projects as a middle-of-the-order bat long term, but his plate discipline and ability to handle left-handed pitching are potential stumbling blocks. Remember, though: Arcia is younger than the average player at high Single-A. Last season Jamey Carroll hit .315 in the second half, suggesting he'd have plenty of value this season at age 39, but instead he's struggled in a part-time role. He's made 22 starts at third base and 13 starts at second base compared to two starts at shortstop, which is where he began last season as the starter before giving way to Dozier and then Florimon. Controlling the strike zone has long been Carroll's main strength, but he had 28 strikeouts versus 12 walks in the first half. Carroll has a $4 million team option or $250,000 buyout for 2014 that becomes a player option if he reaches 401 plate appearances, but with just 164 plate appearances through 92 team games that obviously won't happen. He's not part of the Twins' future plans and looks just about washed up, but it's possible that a contending team could be interested in Carroll as a utility man. If the Twins do find a taker for Carroll they aren't going to get much in return. Hitting well for a few weeks in April had an awful lot of people excitedly overlooking Eduardo Escobar's terrible track record, but he hit .137 in his final 41 games before being demoted back to Triple-A. Escobar has now hit .216/.273/.294 in 114 games as a big leaguer, which is exactly what you'd expect from someone who hit .267/.312/.348 in the minors. He's a good, versatile defender, but at no point has Escobar's bat looked better than utility man-caliber. Clete Thomas got off to a good enough start after being called up from Triple-A in June that he stuck around when Hicks returned from the disabled list, but he quickly came back down to earth by hitting .152 in July. Thomas' overall numbers more or less match his career totals, which is to say they're backup-caliber at most, but he's started 28 of 33 games since his call-up and is in line for continued regular action following the demotions of Arcia and Parmelee. Note: For a similar first-half review of the Twins' pitchers, click here. • When the Twins called up Oswaldo Arcia from Triple-A in mid-April they gave him consistent playing time, but as soon as the 22-year-old slumped for the first time those starts dried up. Last week Ron Gardenhire benched Arcia in four straight games, choosing instead to go with Ryan Doumit twice and Chris Parmelee and Chris Colabello once apiece in right field. And then after finally starting Arcia again Friday the Twins demoted him back to Rochester. Even after his recent slump Arcia was hitting .255/.318/.449 in 30 games overall, which is damn good for a 22-year-old rookie who was rushed to the majors and ranks third on the Twins in OPS behind Joe Mauer and Josh Willingham. In talking about the demotion Gardenhire acted upset, suggesting he may not have agreed with the front office's decision, but the manager choosing to start Doumit, Parmelee, and Colabello over Arcia wasn't helping. For a 22-year-old's development playing regularly in Rochester is better than playing sparingly in Minnesota, but if they wanted to find room in the lineup for Arcia it's not as if benching Parmelee or sending him back to Triple-A would have been a tough call. For all the focus on Arcia slumping for 30 at-bats, Parmelee is 25 years old and has hit .222/.290/.351 with nine homers and an ugly 88-to-26 strikeout-to-walk ratio in 106 games since last season. Arcia was Darin Mastroianni's injury replacement and arrived after just 10 games at Triple-A and 79 total games above Single-A, so his heading back down is hardly a tragedy. His plate discipline still needs work, which isn't surprising given his age, hastened timetable, and poor K/BB ratios in the minors. Sending him down now doesn't really jibe with rushing Arcia to the majors in the first place, but it does ensure that he won't burn through a full season of service time in 2013. • Speaking of service time, bypassing Kyle Gibson twice in favor of Samuel Deduno and P.J. Walters should save the Twins money down the road. Whether that was a factor in keeping him at Triple-A is tough to say, but Gibson is 25 years old and thriving in his first full season back from elbow surgery. In his last four starts he has two complete-game shutouts and another game of eight shutout innings on the way to a 2.82 ERA and 53/17 K/BB ratio in 61 innings overall. Deduno and Walters are nothing more than replacement-level filler who made a lot more sense last year as emergency options for an injury wrecked rotation. It doesn't speak well for the front office that they're both already back in the rotation following an offseason spent talking about improving the dreadful starting pitching, which has somehow been even worse. Last year they turned to Deduno and Walters because injuries forced them. This year it's their own doing. • By calling up non-roster players in Deduno, Walters, and Colabello the Twins needed to open three spots on the 40-man roster. Two of those were created by transferring Mastroianni and Tim Wood to the 60-day disabled list and the third was accomplished by waiving someone. There's no shortage of fungible talent on the 40-man roster, which is why it was surprising when they chose Joe Benson and the Rangers claimed him. Benson has been equal parts injured and awful since the beginning of last season and his stock has plummeted to the point that the 25-year-old former second-round pick is clearly no longer a top prospect. Just a few weeks ago on a "Gleeman and The Geek" episode I actually wondered if Benson was in danger of being trimmed from the 40-man roster, but I was speculating about an offseason move if he continued to struggle all year. To cut bait now seems short-sighted, especially when the 40-man roster still holds Drew Butera, Cole De Vries, Wilkin Ramirez, Chris Herrmann, Tyler Robertson, and the aforementioned trio of Colabello, Deduno, and Walters. Butera in particular isn't someone to worry about losing. He hit .183 for the Twins after hitting .216 in the minors, and if some team wants to claim his $700,000 contract another bad-hitting, good-fielding catcher isn't difficult to find. For some organizations losing a struggling former top prospect like Benson is simply the cost of needing to juggle roster spots to provide big-league reinforcements, but in the Twins' case the 40-man roster is full of spare parts and choosing Deduno and Walters as reinforcements when Gibson was already on the 40-man roster essentially cost them Benson. Benson's upside has rapidly deteriorated, but guys like Butera and De Vries have never had any upside. • Friday night Mauer singled to end Anibal Sanchez's no-hitter with one out in the ninth inning. Mauer previously broke up ninth-inning no-hitters by Gavin Floyd in 2008 and Neftali Feliz in 2010, and doing it three times ties him with former Yankees second baseman Horace Clarke for the most since 1961. I'm not sure if that says more about the Twins' offense or Mauer's hitting. Quite a few guys on that list had no business in center field, but it's tough to beat Parmelee. Prior to Friday he'd played eight seasons and 838 games as a pro without spending an inning anywhere but first base or an outfield corner. • On a related note, after homering twice off Kevin Correia yesterday Carlos Gomez is hitting .331/.376/.611 this season and .300/.343/.540 with 24 homers and 35 steals in 123 games since last year's All-Star break. Toss in what has always been strong defense in center field and Gomez has seemingly developed into one of the best all-around players in baseball at age 27. • Gardenhire's ejection Saturday afternoon was the 64th of his career, which averages out to one ejection per 28.6 games as manager. Bobby Cox has the all-time record with 158 ejections, so at his current pace Gardenhire would have to manage 17 more seasons to top him. • Justin Morneau has just two homers in 47 games this season and a total of four homers in his last 79 games dating back to last year, with half of them coming in one game. Morneau is hitting .300 and Willingham is hitting .212, but Willingham has a higher OPS by 50 points. • Mauer has a .433 batting average on balls in play. No other AL hitter is above .400 and Mauer's career mark is .349. 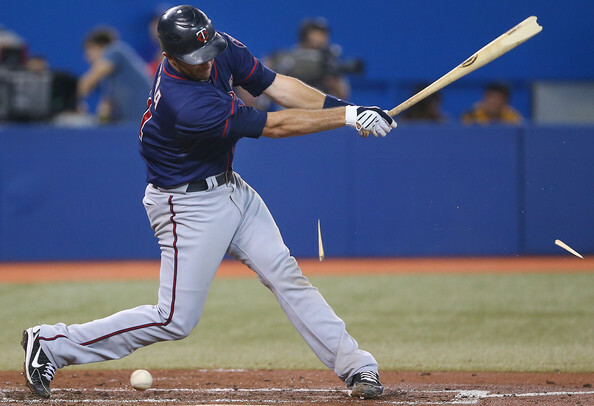 Mauer is hitting .339 and the rest of the Twins are hitting a combined .229. • Since joining the Twins organization Deduno has 88 walks in 143 innings between Triple-A and the majors. In his final three seasons Brad Radke had a total of 81 walks in 583 innings. • Rafael Perez, who was released by the Twins from Triple-A, signed a minor-league deal with the Red Sox. • This week's "Gleeman and The Geek" episode was jam-packed with good Twins topics. We broke down all the recent roster moves, tried to figure out their plan for Gibson, weighed the pros and cons for demoting Arcia, and got in depth looking at the Twins' draft options with the No. 4 pick.